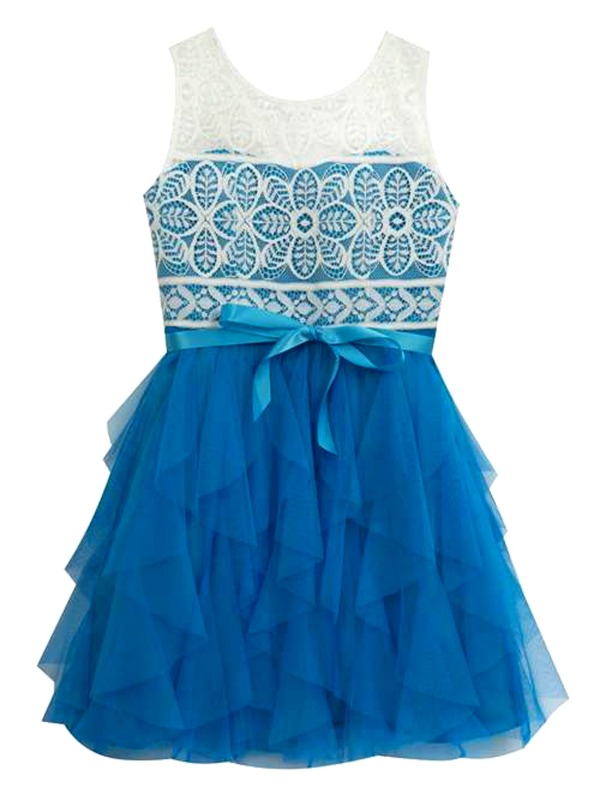 Beautiful young girls white, deep blue and turquoise sleeveless dress features lace bodice and chiffon ruffled hemline. Back zip. So elegant!